The topic of Long Term Care is complicated and a not particularly fun one to think about. But guess what? Ignoring it will not make it go away and putting it off will only cost you more in the long run. 6 Tips to pay less for LTC coverage. "A 65-year-old male with a long-term care insurance policy has a 32% chance of letting the coverage lapse before he dies, with his female counterpart having a 38% chance of doing the same." Last month, I had three meetings in a row with new clients who were caring for parents currently in nursing homes. All of their parents are healthy enough to live well enough into the future, yet not healthy enough to care for themselves independently. This is never a fun topic, I can tell you, and all three were stressed and confused by the various Long Term Care (LTC) choices they have had to make on behalf on their folks. But I can also report that this situation has had an upside for my clients; it's been a wake-up call regarding their own futures. Still young and healthy enough to qualify, they've vowed to make arrangements for their LTC while it is still economically viable to do so and on their own terms. With 10,000 or so baby boomers retiring every day I'm sure a few of you have already purchased some form of Long Term Care coverage. I'm guessing that probably a bigger group have at least thought about it. Here are a few of the FAQs I hear most often on the topic. It may include home health care, an assisted living facility, or the dreaded nursing home. Does Medicare typically cover LTC costs? Should you buy some type of Long Term Care coverage? Yes. Two exceptions: 1) if you're dead broke and won't be able to keep up with premiums or 2) if you're Bill Gates and can pay out-of-pocket for any kind of medical care he wants. The question isn't whether you need LTC insurance (you do), but how much you need and what kind of coverage to choose. Can you afford to keep the coverage, or more to the point, can you afford to not keep the coverage? The options are complicated, and policies often seem expensive, and the premiums seems go up every year by leaps and bounds. That said, researchers at Georgetown University estimate that 70% of individuals 65 and older will need some LTC during their lifetimes. Do people shoot themselves in the foot when making important LTC insurance decisions? Boy, do they ever! Here are the six major LTC faux pas I see over and over. LTC Faux Pas #1: Doing nothing or waiting too long to act. 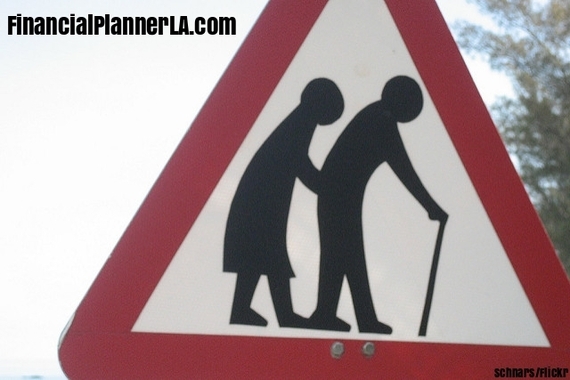 Realistically if you are healthy, your early 50's is the best time to line up the LTC coverage that you may need. If you already have health issues or a family history of health issues, you'll need to start even earlier and can expect to pay more for your premiums. Premiums generally increase 3 to 4 % each year you delay applying for a policy. You may face further premium increases if your health deteriorates. Or you may not be able to get coverage no matter how much you are willing to spend. But it never hurts to ask, I've helped people even in their 80's get LTC coverage. LTC Faux Pas #2: Choosing your policy based on price not value. All policies are not created equal. The value you get for your money can vary widely by policy. While the cost is important if something is priced too cheaply you may face unaffordable premium increases later on down the line. I won't name the company here (there have been quite a few who have done this) but many people have faced annual premium increase in the range of 40% or more on several occasions. This is one of the reason I often look to other alternatives for clients looking for traditional LTC coverage. Other options may include LTC riders on Life Insurance or Hybrid Policies (more on this at another time). LTC Faux Pas #3: Not taking advantage of couples' options. I rarely see new clients come in with a joint LTC policy. But many companies offer spousal discounts for policies purchased by married couples. These can mean as much as 30% off the premiums per year. Couples policies can also be an inexpensive way to increase coverage, or decrease premiums, as well as increasing the odds of getting some benefit from the policy. Consider a couple that purchases a joint policy for two years of coverage each. Say the wife ends up needing care for three years. With a joint LTC policy, she uses her two years and one of her husband's years. Obviously this leaves the husband with only a year of coverage, but they paid less in premiums, and decreased the odds of further out-of-pocket expenses. Most importantly they used more of the benefits from the policy. Most LTC policies are use it or lose it, if you don't need a nursing home and you pass away, the policy ends with no payout to an heir. With joint LTC coverage, the husband may end up paying out-of-pocket for additional care if he stays longer than one year in this scenario, but even then they would have had to pay out of pocket for the wife's care anyway. LTC Faux Pas #4: Not factoring in inflation. What may sound like a lot of coverage now, may not be adequate in 20 or 30 years after inflation. With the big wave of boomers retiring there will be further pressure upwards on LTC costs, which may far exceed normal estimates of future inflation. Inflation riders on LTC policies can greatly increase you coverage down the road, but these riders can appear quite expensive and often get skipped. LTC Faux Pas #5: Not knowing exactly what you're getting with your policy. These aren't one size fits all policies. Getting coverage is not a check the box type of thing. Make sure you are comparing apples to apples when looking at policies, and they provide appropriate coverage for your situation and overall financial plan. Other fine print type of things may limit things like home health care. If, like many, you want to stay in your home as long as possible, this would be a big issue. LTC Faux Pas #6: Ignoring Hybrid Policies that may save you money or get you more coverage. So called Hybrid Polices and been growing in popularity over the past few years. They often package LTC coverage with Life Insurance or sometimes even annuities. I think shoppers are attracted to these policies because they often increase the odds of actually seeing benefits. With LTC generally it's use it or lose it. Personally I'd rather not use it, but I still want a great value from my policy. If you look at a life insurance policy with living benefits like a LTC rider and the death benefit, the question is whether we get LTC coverage first. They may even include a cash value account which can grow tax free and come out tax free when handled properly. The upside is that life insurance has more protection from premium increases; the downside is you may end up with some extra fees to cover the life insurance cost. Don't put your head in the sand, if you are in your 50's or beyond at least have the LTC discussion with your trusted CFP®. I like to think of investing in your LTC plan now is guaranteeing yourself some TLC later. There is real a value to knowing that you and your loved ones are appropriately covered. Until next time, and as always Be Fiscally Fabulous, and remember Gay Money Matters. Securities and advisory services offered through National Planning Corporation (NPC), Member FINRA,SIPC, a Registered Investment Advisor. Trilogy Capital Trilogy Financial and NPC are separate and unrelated entities. Guarantees are contingent on the claims paying ability of the issuing insurance companies.